Our chapel certainly does not look its best right now, having been flooded like so many other premises in the town, but we’re open for business. If you want a time and place to sit quietly, to reflect, to pray or to be prayed for, just come in. We aim to be open between 12.00am – 2.00pm. 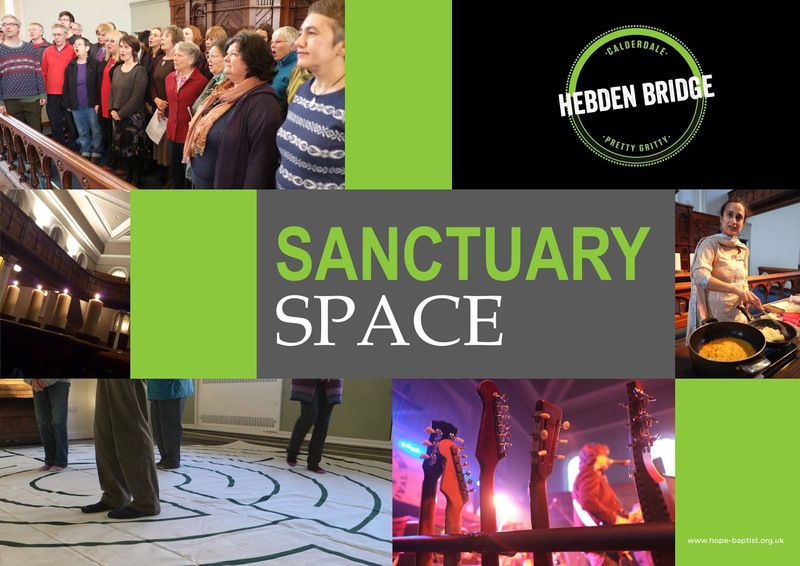 Three heroines of Hebden Bridge help to get Hope Chapel open. Flooded or not, from tomorrow, we will be providing a sanctuary space for everyone and anyone. 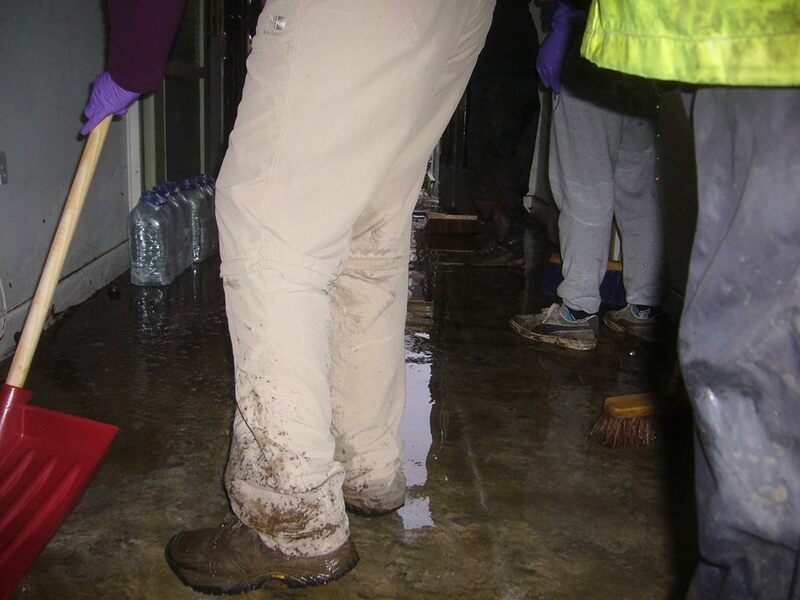 A gang of volunteers gets to grips with the layer of mud and wet carpets in the community rooms. It's heart-warming and moving to see such community spirit. We love this place and these people! The clear-up starts. Who needs International Rescue when you've got Joan and Muriel? Note the fine new floor covering in the Ebenezer Room, which seems sound. £6K-worth of pew cushions safely stored upstairs too. Dawn breaks on the 27th December 2015 at Hope Baptist Church - established 1777. 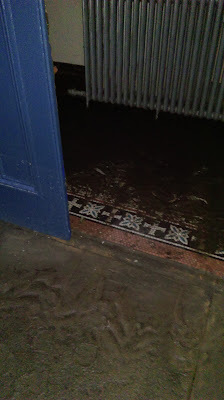 The flooding's worse than 2012, with over a foot of water throughout the ground floor, including the chapel. The building is a mess, but we remain 'Christ Centred - Community Focused'. The chapel space may be closed ... but the church is a bunch of people and we're alive and well. 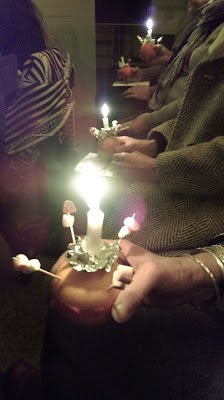 Super candelit service this evening. Thank you music group and Allan for leading and an inspring message. 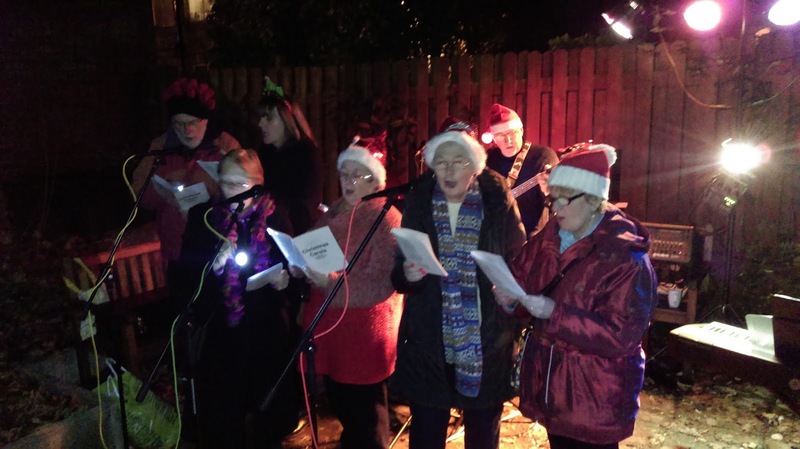 If you missed this lot at tonight's carols in the garden session - you can still hear them at the Candlelit Carol Service on Sunday 20th.